Returns to your optical shop are a hassle to manage. A return in the eye care industry isn’t as simple as fulfilling the return and restocking the item on the shelf. Customizing the lenses by the patient’s needs and by the frames that they selected complicate the act of maintaining patient satisfaction and making profits in your optometric practice. 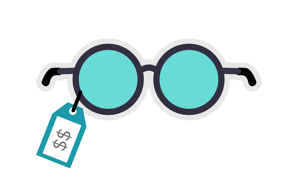 But your return policy should be should be used to increase sales and help give assurance to a prospect who is on the fence about purchasing frames from your optical shop. Below are tips for handling your patient’s refund request. Returns are frustrating, but you can’t react to a patient’s refund request negatively. Keeping a calm demeanor during the transaction can help de-escalate the situation and will help you collectively come to a resolution that works for both parties. When a patient enters your practice to return your optical dispensary product, it’s a sign that their purchase didn’t solve their problem or meet their needs. While a refund may sound like lost revenue, working with the patient to further understand their needs might result in an additional sale, a positive online review, and continued patient satisfaction. If the patient requesting the refund has been challenging during the entire process and hasn’t shown interest in working with you on an amicable resolution, then it may be time to cut your losses and issue the refund. If the patient continuously returns items or has been combative to you or your staff during the interaction, then it might be time to fire that patient from your optometric practice. 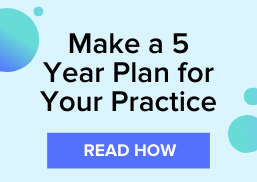 While this will result in less revenue, it will help build staff loyalty, reduce burnout, and eliminate the stress of having to deal with their next visit to your practice. Don't let refunds cut into your revenue. Download the ebook, "4 Weeks To Bigger Profits In Your Optical Dispensary" for tips on improving your patient experience, beating your online competitors, and more.